Inc. magazine has ranked Four Sales on its sixth annual Inc. 500|5000, an exclusive ranking of the nation’s fastest-growing private companies. The list represents the most comprehensive look at the most important segment of the economy—America’s independent entrepreneurs. Four Sales is a company has over 40 years in the estate sales business and is backed by over 3000 satisfied clients who would attest to the essential attributes necessary to feature successful estate sales. COGO has enjoyed a solid relationship with Four Sales over the last several years. Daniel Sanders, President of the firm has worked with COGO to redesign the foursales.com website, build out a custom database that allows Daniel to control all current and future sales data, a custom review system that allows the firm to gather positive reviews from their customers. 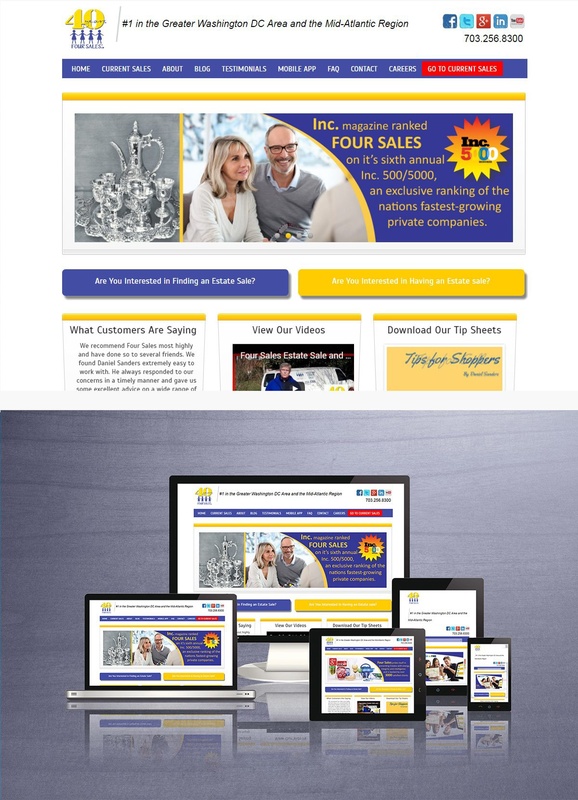 COGO also worked with Four Sales to develop content that helps convert visitors to leads. COGO also develops weekly blog content for the company. As part of our strategy for Daniel and his firm, we optimized the new website for relevant searches related to their estate sale services. Four Sales now ranks for over a dozen first page search terms, driving significant traffic to the website each month.